Why is Iran Developing ICBMs? Why is Iran working on Intercontinental Ballistic Missiles? There is no possible peaceful purpose for ballistic missiles. Iran may claim that their nuclear program is peaceful, but they cannot possibly make that claim when it comes to ballistic missiles. The only reason to have ballistic missiles is to target enemies with high explosives and WMD. Iran’s Shehab-3 Intermediate Range Ballistic Missiles have sufficient range to hit Israel, Saudi Arabia and US bases in Afghanistan, Qatar, Bahrain, and Kuwait and Turkey. Why are the Iranians working with the North Koreans on multi-stage Intercontinental Ballistic Missiles (ICBMs)? Who might the Iranians be targeting with such missiles? NATO? Probably, but parts of NATO in Europe are already in range of the latest versions of the Shehab-3. Iran is working on missiles with much greater range than that. Clearly, Iran seeks to target countries much further away. Certainly, Great Britain and France are possible targets. China and Russia both sell Iran weaponry, so it is unlikely that either would be targeted. The answer is obvious. Iran wants ICBMs to target the US homeland. And one does not build ICBMs and arm them with conventional warheads. ICBMs are not generally accurate enough to make a high explosive warhead effective. ICBMs are armed with nuclear warheads. Now, Iran claims it does not want nuclear weapons. But the Ayatollahs have a history of lying, going all the way back to 1978-79 when the Ayatollah Khomeini claimed that he had no interest in governing Iran after the Islamic revolution. He made this statement repeatedly to the international media. He was, of course, lying–just as the Iranians are lying today about their nuclear ambitions. Khomeini ruled Iran as a totalitarian dictator for an entire decade until his death. The problem is, we have a president in Washington who doesn’t seem to care that Iran has a history of lying and cheating as part of their duty under Islamic doctrine. Iran has several types of ballistic missiles, ranging from Short Range Ballistic Missiles (SRBM) to Intermediate Range Ballistic Missiles (IRBM). Some are imported systems, some are domestic copies of foreign systems and some are indigenous systems. 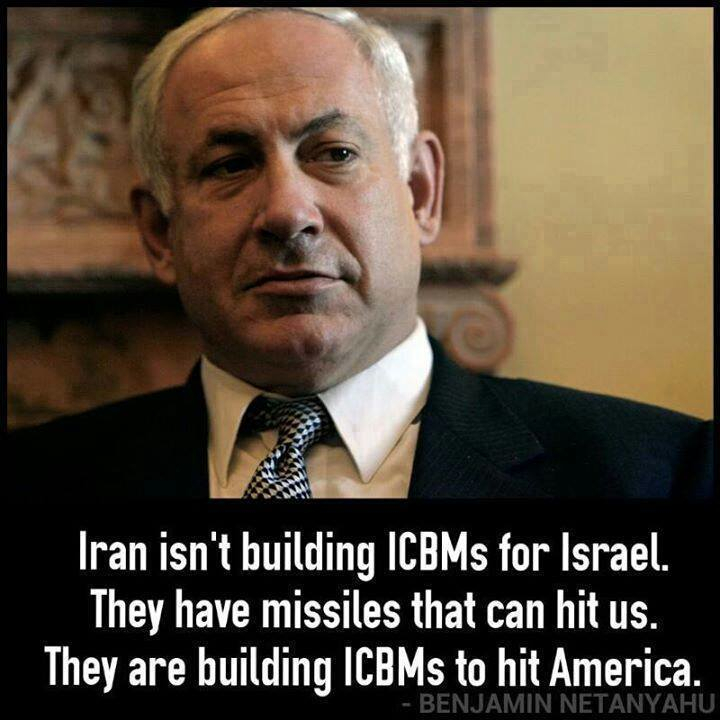 Iran is also known to be working on ICBMs–Intercontinental Ballistic Missiles. According to the Obama Defense Department’s “Annual Report on the Military Power of Iran,” published in April of 2012, US intelligence estimates indicate that Iran will be capable of testing Intercontinental Ballistic Missiles in 2015. A May 2009 joint US-Russian assessment published by the East-West Institute estimated that Iran was 6-8 years away from fielding an ICBM. 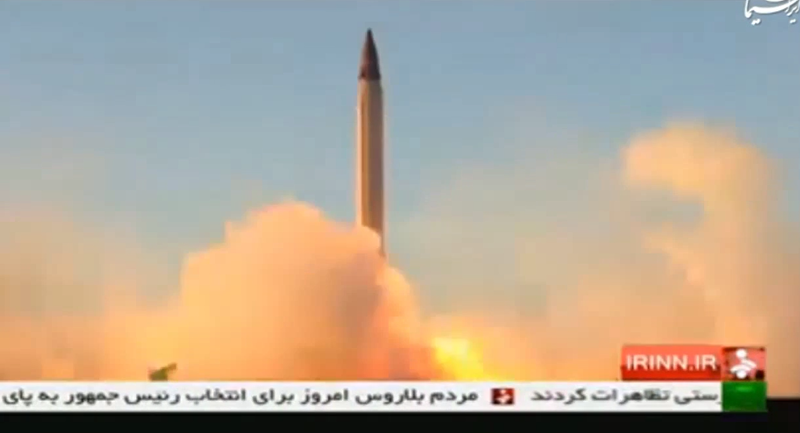 The United States Institute of Peace estimates that Iran will have an ICBM capable of striking the US by 2020. This solid-fueled, mobile missile system was developed jointly with Red China, North Korea and Syria as a replacement for SCUD missiles. It entered production in 2002 and has a range of 185 miles. This is far enough to hit targets into US installations in Afghanistan, Kuwait and Qatar. Developed from the Soviet-era SCUD-B, this mobile, liquid-fueled rocket has a range of 185 miles. This is far enough to target US bases in Afghanistan, Kuwait and Qatar. Developed as an improvement from imported North Korean SCUD-C ballistic missiles, this liquid-fueled, mobile missile system has a range of 435 miles. This is sufficient range to reach US bases in Afghanistan, Bahrain, Kuwait and Qatar. This is the name given by Iran to its CSS-8 rockets acquired from Red China. 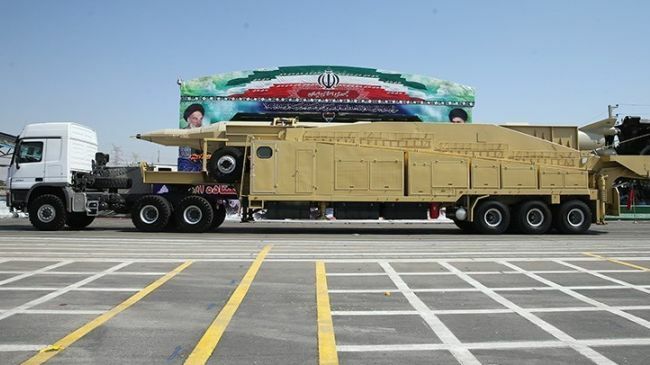 This solid-fueled, mobile missile has a range of 90 miles and is more of a battlefield rocket, though it could reach targets outside Iran if fired near Iran’s coast or borders. This mobile, liquid-fueled missile was developed from North Korea’s NoDong 1 missile. Estimate’s of the Shehab-3’s range capabilities vary; some estimates place it in the IRBM category, rather than the MRBM category. The range estimates vary between 550 and 1500 miles. 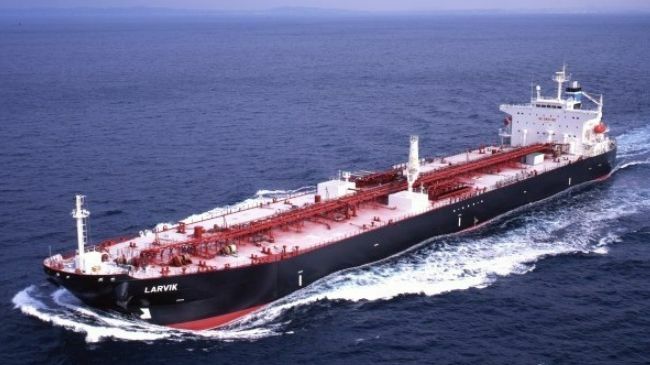 The upper end of this range would include all of Israel, as well as the eastern Mediterranean, all of Turkey, parts of Greece and all of Saudi Arabia. The lower end of the spectrum would place much of Saudi Arabia within range. There are several variants of the Shehab-3 with different names. There are at least three generations of this ballistic missile. It is a solid-fueled, mobile rocket and represents a significant advancement in Iranian capability because it is two-staged and thus lays the foundation for intercontinental flight. Also, because it is solid-fueled, it can be launched relatively quickly with little preparation. Range estimates vary from 1200 to 1800 miles, potentially putting targets as far as parts of Poland and parts of Italy within range. Of particular significance and concern are Iranian efforts at space rocketry, through which it is in the process of mastering the multi-stage rocketry that is required for long-range Intercontinental Ballistic Missiles capable of hitting the US from Iran. Readers may recall that North Korea has also used the cover of a space program to develop ballistic missile technology. Iran’s Safir rocket was used to place a satellite in orbit in 2009. That launch displayed a new level of capability in propulsion and multi-stage rocketry that the Iranians had previously not demonstrated. The rocket appears to be a development of the Sajjil with greater length but a similar diameter. Iran has unveiled a prototype of a larger, more capable multi-stage rocket known as the Simorgh, designed to achieve higher orbits with heavier payloads than the Safir. Thus far, the Simorgh has not flown. We provide this background because of announced developments by Iran’s ballistic missile program that have coincided with the Obama-Kerry-Ayatollah Agreement. Iranian collaboration with North Korea on a new rocket booster for long-range missiles undermines the deal with Tehran on its nuclear program, key Senate and House Republicans said on Tuesday. “While the president was undertaking his secret negotiations—which Congress wasn’t informed of—he had to know Iran and North Korea were testing new engines for ballistic missiles to target the United States,” said Rep. Mike Rogers (R., Ala.) chairman of the House Armed Services subcommittee on strategic forces. The chairman, whose subcommittee is in charge of overseeing U.S. strategic weapons, ballistic missile defenses, and space programs, made the comments in response to a report Tuesday revealing that Iran is covertly working with North Korea on a new 80-ton rocket booster that can be used in both nations’ long-range missile programs. In the Senate, Sen. Ted Cruz (R., Texas) also criticized the Iran nuclear deal for not addressing the threat of Iran’s ICBM program. Reports of Iran-North Korea ICBM collaboration follow new anti-America and anti-Israel outbursts from the Islamist regime in Tehran, Cruz said. A top Iranian military leader announced late Tuesday that Iran has developed “indigenous” ballistic missile technology, which could eventually allow it to fire a nuclear payload over great distances. Former Pentagon adviser Michael Rubin said that the United States is not paying great enough attention to Tehran’s military advancements.